TURQUOISE: WHILE SUPPLIES LAST! Flexible, soft cover refillable journal with built in elastic closure. 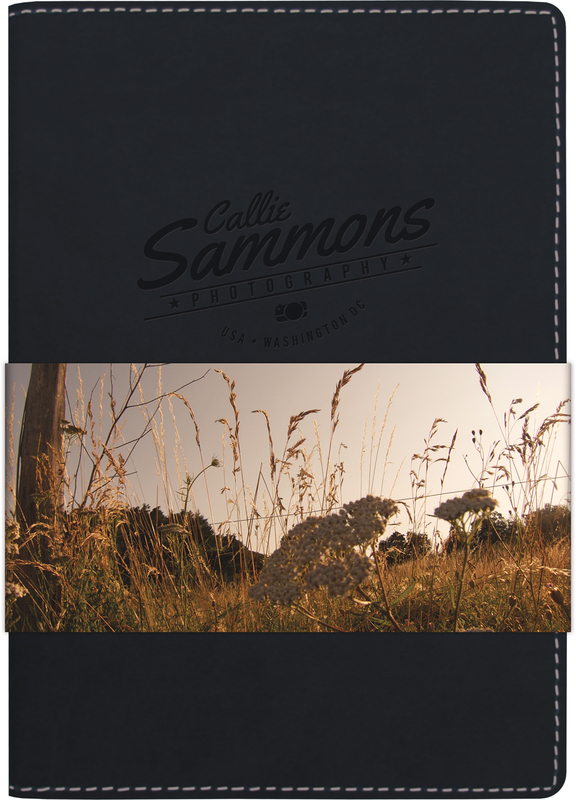 Includes blind deboss and full-color GraphicWrap, pen loop, business card slot. Domestic-made refillable journal inside features white flexible paper covers, 100 sheets of ruled filler and perfect-bound spine. Available in Turquoise, Navy and Black. Optional pen choices limited to Bergen, Preston, EcoPen, Soft Square Pen and Cougar. To purchase refills for this product, please click here.